A loan of $1,525 helped a member to pay for more bags of sugar, bags of charcoal and a basket of pepper. Binta is a 30-year-old married woman and a proud mother of two children aged 9 and 1. She helps her husband provide for their two children. Binta owns a personal use business. She would like to use this loan to buy more bags of sugar, bags of charcoal and a basket of pepper. She started her business to become financially stable and independent. She has some family members that help with the day-to-day activities of the business. Binta will use the profits from her business to feed her family every day. She hopes to own a house from the proceeds of her loan. Binta’s group needs a loan of SLL 6,000,000, of which Binta is entitled to SLL 1,500,000. 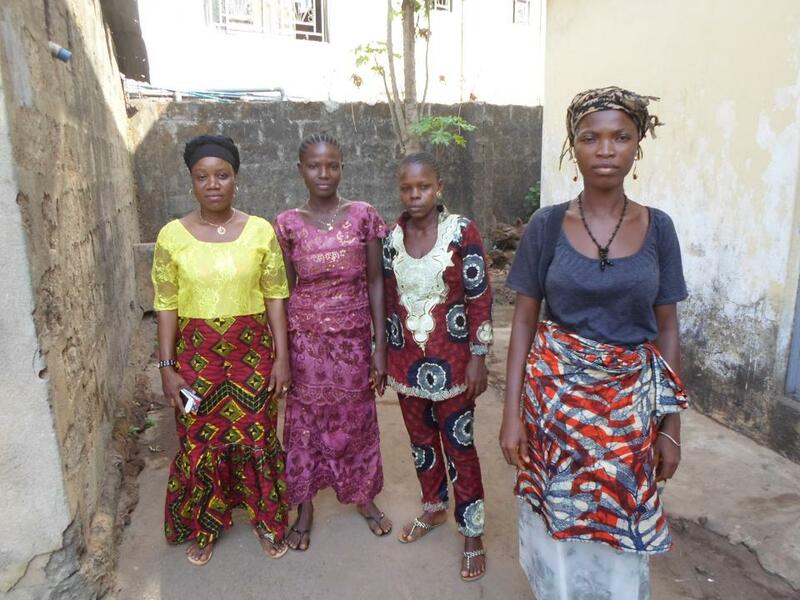 Binta is shown on the right in the picture. She and the other group members thank you for your support.